« Volunteer Trail Work Day: Anderson St.
Take an evening trek through the Western Cemetery and explore some of Portland Trails hidden urban gems in the West End. 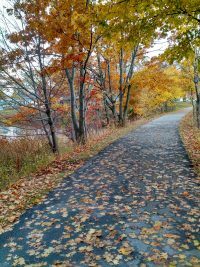 Deirdre Fleming, Portland Press Herald Outdoors reporter, will help you sharpen your photo skills and capture some excellent (and maybe a little eerie) shots of the early evening light and beautiful fall foliage. RSVP here!